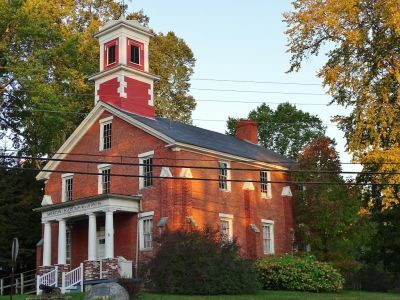 The Old Blue Hill Academy was constructed in 1833 in the Greek Revival style. 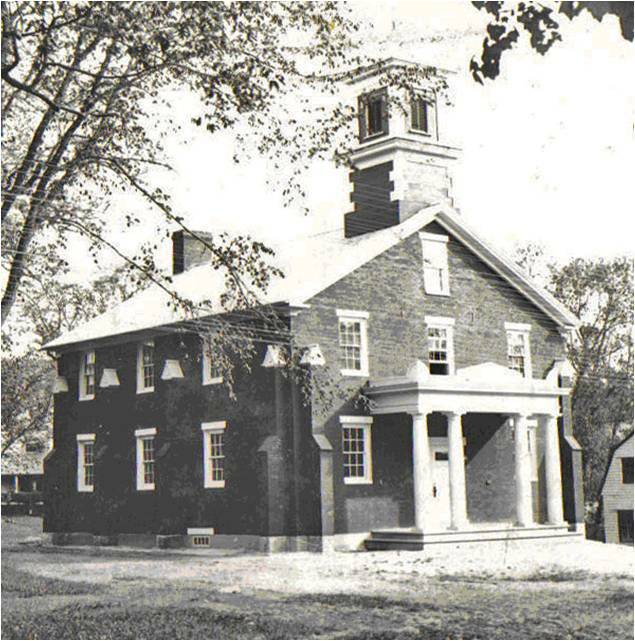 Renovations in 1909 were designed by Blue Hill native, George Clough. Many architectural features are present, giving the building a distinct historic appearance. The Old Blue Hill Academy is suffering from lack of maintenance due to a decline in membership to the Duffy Wescott Post of the Veterans of Foreign Wars[? ].Decreasing income has left the building in a state of disrepair. Important architectural features have deteriorated and were unable to be replaced. Other features have been preserved through temporary solutions which have deferred impending deterioration. Some repairs may be made on an emergency basis, but more support is needed to ensure the building’s protection. Concerned citizens have formed a group to give more attention to the building, more fully assess its condition and to seek a plan for its future use[?]. More public support and informed rehabilitation decisions will assist this building and help in its revitalization.